St. Patrick’s day is round the corner and it is time to make your friends and family feel special. 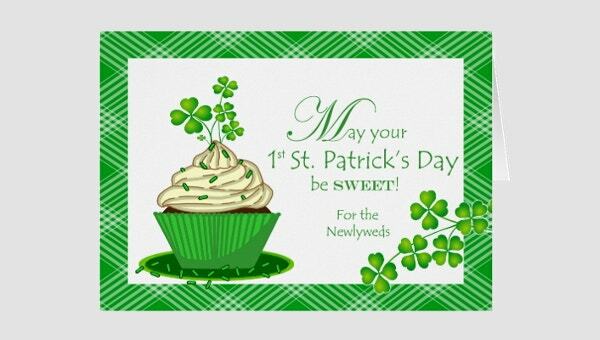 Apart from all the preparations that you are doing for the Irish holiday, make sure to create personalized St. Patrick’s greeting cards for all your loved ones. After all they add a personal touch and say a lot about all your efforts that you put into them. 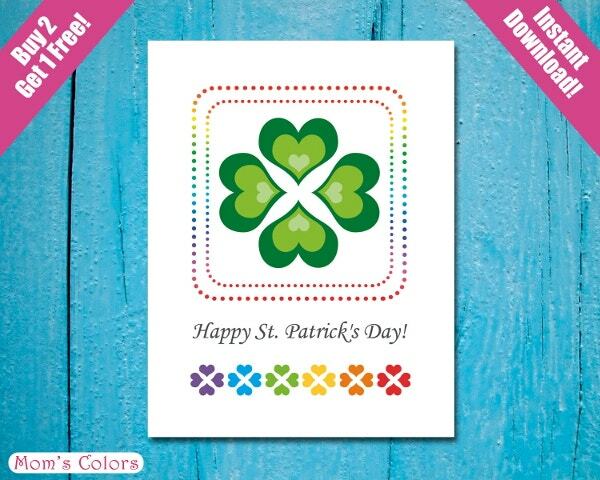 So if you are done with St. Patrick’s day invitations and St. Patrick’s day posters, it is now time for St. Patrick’s greeting cards. This editable template comes with not one but 3 greeting cards each of which looks beautifully decorated and designed. The seamless pattern and creative typography make for an intriguing greeting card design. The file is available in EPS format and can be edited in Illustrator. 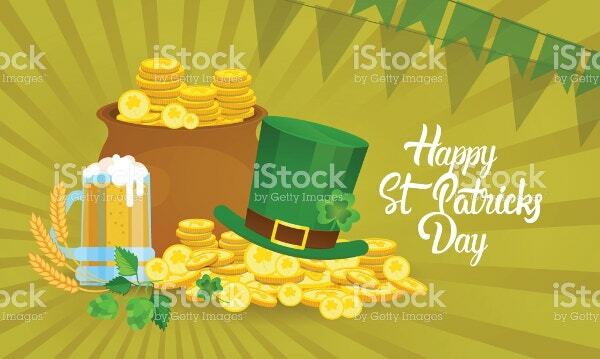 The template given here can be used for all kinds of St. Patrick’s related designs, be it posters, flyers or greeting cards. It has all the design elements that looks perfect for this Irish holiday. Download the print ready template and get it printed to convert in into a lovely and playful St. Patrick’s day greeting card.You may also see St Patrick’s Day Menu Templates. You can use this St. Patrick’s day festive banner to create a wonderful greeting card to give to your close ones. It has interesting illustrations that would make for a jolly St. Patrick’s card. All you have to do is download the template, make the changes that you would want to and your greeting card design is ready for print. You can also use it as a customized ecard. 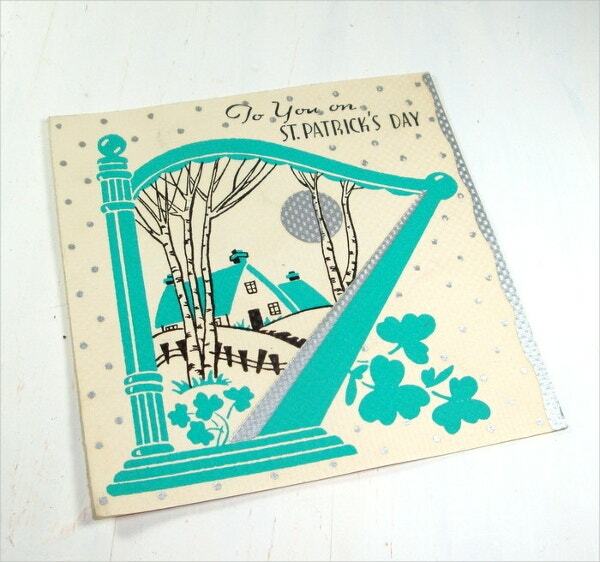 This geometric card has been designed in St. Patrick’s day theme. 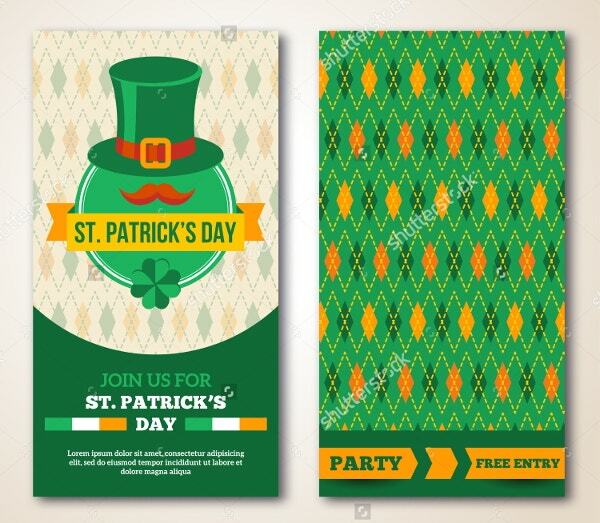 The color theme is classic St. Paddy’s green and yellow which goes very well with the design. Overall the design looks great for a greeting card. 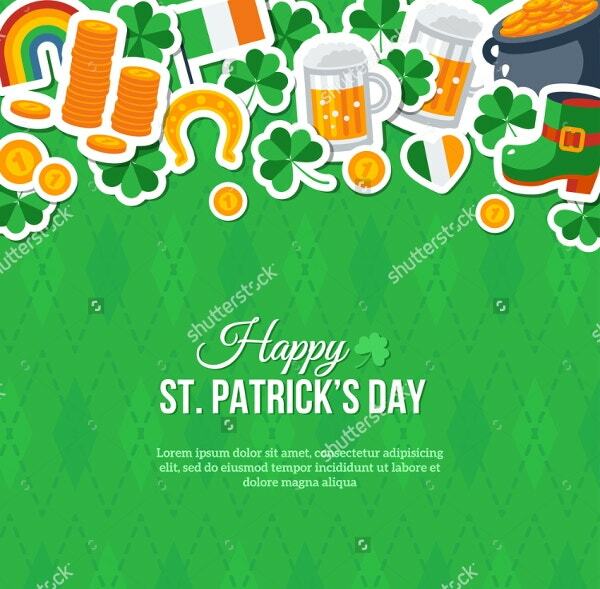 This template provide you with two sided design that you can use to create the front and the back of your St. Patrick’s day greeting card. 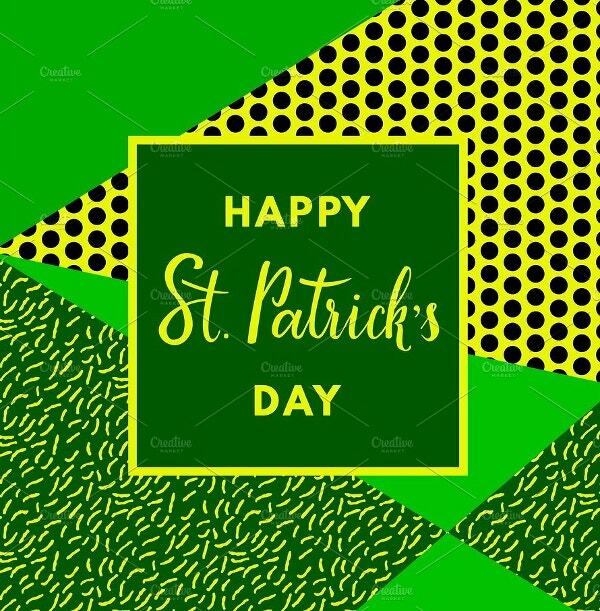 The template comes with interesting pattern design that makes for a more traditional St. Paddy’s day greeting card design. 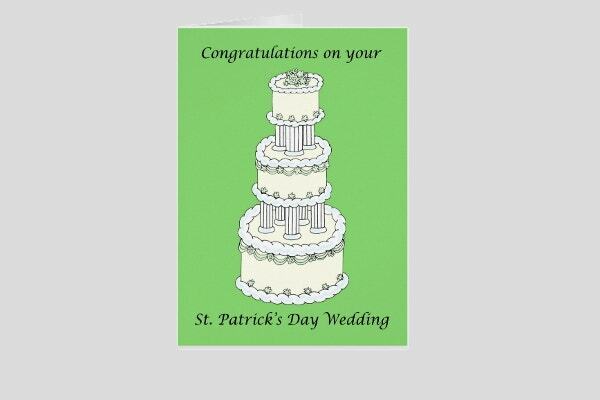 This is St. Patrick’s day wedding greeting card template. 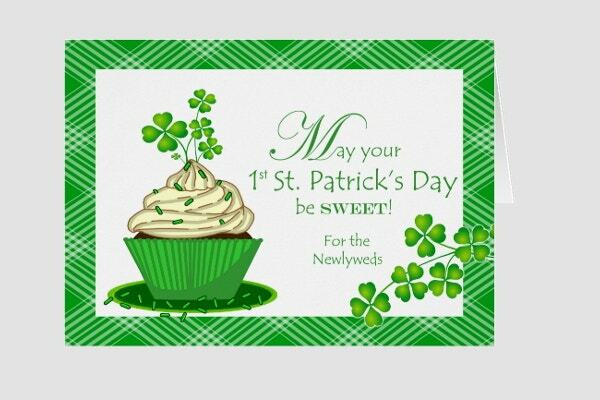 So, if you are attending a St. Patrick’s day wedding, you must use this sample greeting card template to accompany with your wedding gift. 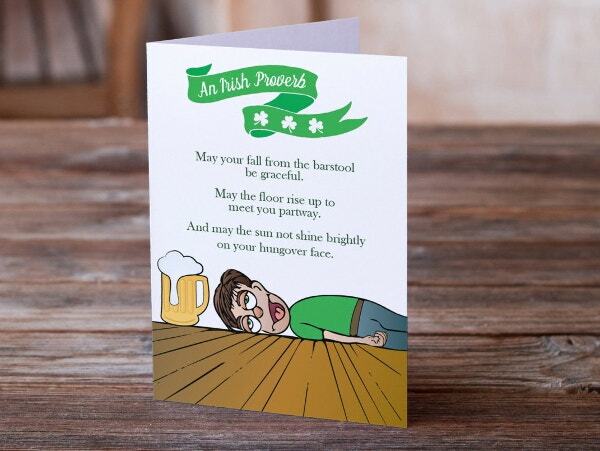 This funny St. Paddy’s day card should be shared with the one special friend who always gets your humor and also love you for it. You see a lot more colors in this greeting card templates, other than green and yellow and that looks refreshing. The template can be printed in A2 size. 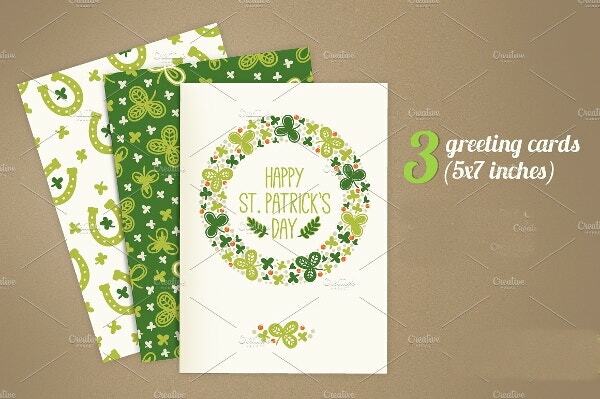 The card design is very simple with plain white background and clover leaf decoration. You can purchase the card directly or can take inspiration from the card design to create one for yourself.